As I mentioned in my last post if you are able to take some calories out of your diet and get into a negative caloric balance then you will be able to lose weight. If you are not gaining or losing weight right now you are in balance. The food energy you take in every day balances with the amount of activity you do every day. There are two main ways to make that energy balance work in your favor to help you lose weight. The first is to add more activity into your day, usually via a standard exercise program. The second way is to change your diet around so you consume less calories every day. Taking in less calories each day is easier said than done. Here are 5 ways to help you take some calories out of your diet. The first thing you need to understand is how many hidden calories are in the products we eat every day. Coffee or tea are great to have and can have some positive health benefits; however what you choose to put in your coffee or tea my be holding you back from your goals. There are a lot of hidden calories in many of the foods we enjoy. Some of these tips may seem very simple, almost too simple but they do work. The problem that arise is that people need to stick to the plan long enough for it to work. 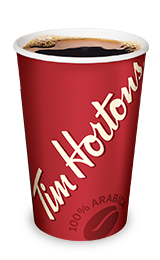 Tim Horton coffee – Regular coffee (1 cream, one Sugar ) = 70 calories. Double double = 140 calories that is for their new small (formally medium coffee size. The amount of sugar and cream you get in a coffee is proportionate to its size so if the cup is bigger you get more therefor more calories. Anyone surprised to see that there are more calories in a muffin than a donut? Change cream and sugar out of your coffee or tea for milk and sweetener or better yet drink it black. Quick math time – If you had a double double and a blue berry muffin every day of the work week and changed that to just a black coffee you would take 480 calories out of your diet every day that is 2400 calories a week and 124,800 calories a year which equates to 35 lbs of fat a year. Think about the serving size you have of any particular meal. The serving size of what is recommended on a package of food is a precisely measured amount. How much we actually eat in a sitting can differ. Reduce your serving size. If you are actually trying to track the calories you are taking in you need to have an accurate measurement of food. 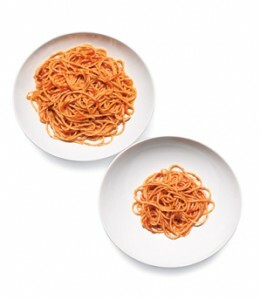 Next time you prepare something instead of eyeballing a serving, take a extra minute and actually measure out a serving to your plate according to the package. That way you will have an accurate count of the actual calories you are consuming. There are different food products on the market and more coming out each day. Some are low in fat, reduced calories, reduced sugar and calorie wise. Change the type of product you use to a reduced fat, reduced sugar or reduced calorie version you can also look at choosing alternative products. Look at having vinegar based dressing instead of cream based dressing on your salad, tomato based sauces over alfredo based sauces for your pasta, or skim milk rather than 2% milk for your cereal. There are a lot of healthier choices and options out there to take calories out of your diet. 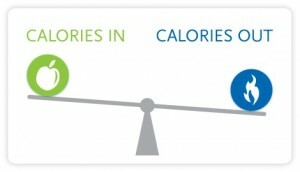 Choose products that are light , or reduced calories on the label. But don’t be fooled. Just because the product says that it is light doesn’t mean that it is better for you. Read the packages, compare products, make the healthiest choice. Remember the small things add up over time. 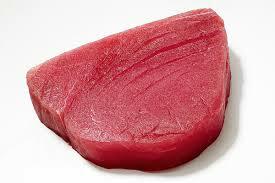 Meat is a great source of protein, which is filling and aids in tissue repair. Many diets out there use meat as a staple to help people lose those extra fat pounds. The problem arises with getting the right piece of meat. Look for cuts of meat that are lean or extra lean. Cut off any visible fat before cooking. Try elk or bison that are much leaner then beef. Avoid processed, deli meat or prepacked meat, they contain a lot of added salt and fat. Fat contains 9 calories per gram. By taking that out of your diet, by eliminating visible fat from cuts of meat you can remove a lot of calories. 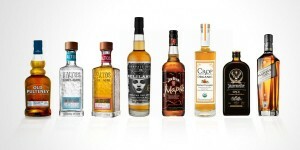 Alcohol has 7 calories per gram. That doesn’t seem like a lot but we don’t measure alcohol in grams, we measure it an oz. and there are 28 grams in an oz. It take a little bit of math depending on the percentage of alcohol you are consuming but that beer or glass of wine can have quite the number of calories in it. Besides the calories from the alcohol itself, if you drink hard liquor the mix can also have a lot of added, unneeded calories in it. Pop or juice are loaded with calories that you don’t need. Limit the amount of alcohol you consume. Use diet pop, or water to mix your hard liquor or have reduced calorie beer. Some beers and drinks, depending on how they are made can have over 200 calories per drink. Don’t forget about the snacks you have when you have a drink or two. Usually those snacks are not the most healthy choices. Here are my first 5 tips. So far I don’t think it is anything ground breaking, just simple every days tips to help take calories out of your diet. As I bonus tip I encourage you to physically write down everything you eat each day, for at least a week, you you get a good idea of what you are consuming. Things look different when written on paper compared to what you are thinking in your head.